Tara Auclair, MBA, is Senior Marketing Communications Manager at Modernizing Medicine and loves helping to make Modernizing Medicine and its people more famous. In this role she is responsible for increasing brand equity by overseeing and participating in multiple aspects of marketing and communications including public relations, media and community relations, crisis communications, corporate social responsibility, social media, blog, website, customer reference program and more. She focuses on the planning and strategy of initiatives plus operations and execution, both cross functionally among departments and with external stakeholders. In addition, she’s a senior leader of Modernizing Medicine Women in Innovation and Technology (MMwit), a community of men and women at Modernizing Medicine with a mission to develop and enable women to lead and innovate. Tara has a passion for the healthcare industry as evidenced by the various roles held in her over 15 years of experience. Tara earned her BA from Tulane University and her MBA from Boston University. 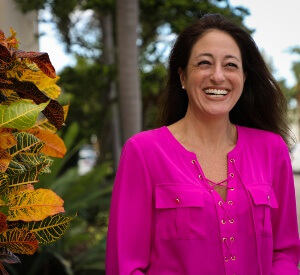 Dedicated to the community, Tara is on the boards of the Boca Chamber’s Golden Bell Education Foundation and the Peter Blum Family YMCA of Boca Raton. She’s a Mentor at Florida Atlantic University Tech Runway, a long-time member of the Junior League of Boca Raton where she has held numerous leadership roles, a Team Captain for Boca Raton’s Walk to End Alzheimer’s, a volunteer at Gumbo Limbo Nature Center and active in the Tulane Alumni Association. She is also a member of the American Marketing Association, Public Relations Society of America and Gold Coast PR Council.